Chicago’s north side is where you’ll find an array of quaint, family-friendly single-family homes that are nicely situated on one of the city’s hundreds of quiet and peaceful tree-lined roadways. Neighborhoods such as Wrigleyville, North Center, and the Southport Corridor are within the boundary lines of some of Chicago’s best schools and the vibrant atmosphere surrounding each area certainly give these neighborhoods some personality, charm, and desirability. Southport Corridor specifically has recently been a hotbed for high-end new construction single-family homes, while other parts of west Lakeview and North Center offer more affordable options that can appeal to a wider-variety of home buyers with smaller budgets. What also makes single-family homes on Chicago’s north side attractive is the close proximity to the lakefront, dozens of fabulous restaurants, cafés and locally owned boutique shops, and plenty of Chicago attractions that make for a fun-filled, one-of-a-kind lifestyle. 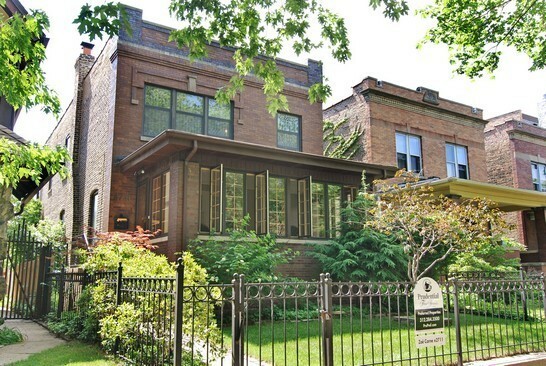 Other great north side neighborhoods that house appealing single-family real estate include Lincoln Park, Buena Park, Lakeview, and Roscoe Village. For more information on single-family homes for sale on Chicago’s north side, or to start viewing available properties today, give Ted Guarnero and his team of expert Chicago real estate agents a call at (312) 566-8141 now!